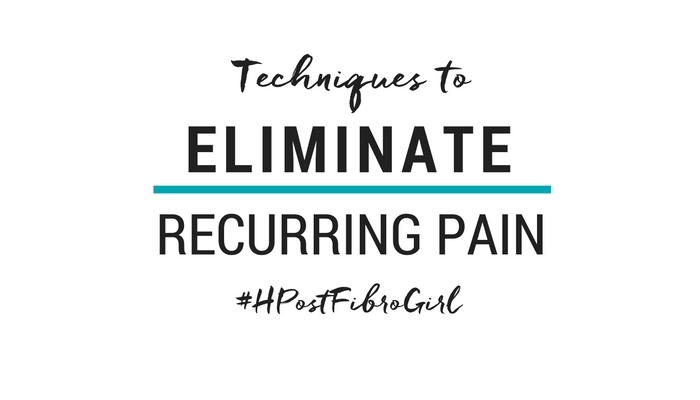 Heal Your Chronic Pain: Understand The Source Of Recurring Pain and Learn Effective Techniques To Eliminate It. If there's one thing I know for sure, it's that you and I are always looking for ways to ease our Chronic Pain symptoms and learn more about the causes of them. Something that has proven invaluable in my healing journey is hearing from health experts from across the world of wellness. Today, without asking you to make an appointment, pack your bag and board a plane, I invite you to join me for the 2016 Heal Your Chronic Pain Summit. Over 21 health experts have come together to share tips on how to get rid of your pain for good through simple techniques, extremely efficient methods, and the newest in holistic health. It's a free education that will literally CHANGE YOUR LIFE. I'm one of the experts!! My interview will be released on December 8th. You can watch experts from all over while you stay home in your comfy pajamas, snuggled up in bed. 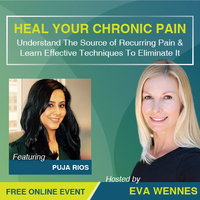 , is happening because Eva's personal journey took her from years of severe pain to finally having her life back and living pain-free. Now her passion is to help others eliminate their chronic pain and feel alive and well. Thank you Eva! Join Maggie Phillip's PhD 10 step program for reversing Chronic Pain here. Erik Dalton PhD is the founder of the Freedom from Pain Institute. Learn more about his pain-management modality Myoskeletal Alignment Therapy here. Jessica Drummond Click here to find out what the Founder and CEO of the Integrative Women's Health Institute prescribes her clients with chronic pain to improve their anxiety. For my friends up north, check out one of Canada's leading chiropractors, Chris Oswald PhD. You deserve to live pain free. I'll see you at the summit! Click here to read my last post, Ongoing Effects of Chronic Pain.